The MNRE has directed the SECI to fix the upper permissible solar tariff for solar developers using domestic solar cells and modules and imported products without the safeguard duties. Solar developers have urged that the government’s decision to cap tariffs at Rs. 2.50 per unit, needs to be reversed. But why? The suggestions are a source of worry for solar developers, given that maximum proposed solar tariffs are far lower than what was achieved through the reverse bidding process conducted by both SECI and states. Capping will make projects unviable as their bid is determined by changes in the module process, currency risks and varied solar radiation across states. 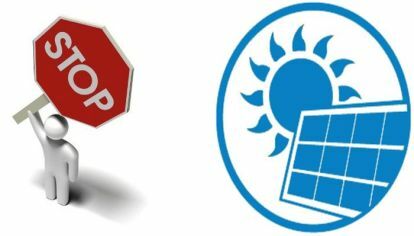 The cap on solar tariffs has provoked the solar developers and industry associations raise concern over its negative impact on the viability of solar projects. The solar power tariff in India has experienced a drastic fall over the last few years. In India, the total solar power generation capacity increased from 461 MW in 2011 to 6,763 MW in 2016. Over the last few years, the solar power generation capacity has increased significantly due to the favorable government initiatives with developments in manufacturing technology of solar panels. Our Indian solar industry is expected to have double-digit growth during the next few years, due to the government’s policy to increase the share of solar power in the country’s energy mix and falling equipment costs globally. The solar power tariffs in India have fallen in nominal terms from INR 15 /Kwh in 2009 to INR 2.44/ Kwh in 2017, due to the decline in module prices and improvements in capacity utilization factor. This recent fall came in during the online bidding for a 750 MW solar power park being set up at Bhadla near Jodhpur with viability gap funding (VGF) from the solar energy corporation of India Limited. However, the ever-declining solar power tariffs have encouraged good investments into the sector but have raised concerns over the long -term sustainability of the projects. When was the cap on solar tariffs announced? The Ministry of New and Renewable Energy (MNRE) in August 2018 commanded the Solar Energy Corporation of India to bring down the future solar bids in a size of 1200 MW with no upper cap minimum bid size of 50 MW while capping the maximum permissible tariff at ₹2.68 per unit, including safeguard duty, and ₹2.5 per unit if the safeguarding duty was not paid by the solar developers. MNRE is in the favor of capping the solar tariffs but is willing to work out at a viable rate for developers. It has decided to cap the maximum solar power tariff at INR 2.5 and INR 2.68 per unit for developers using indigenous and imported solar cells and panels. What will the government achieve by this? The government strives to protect domestic manufacturers and encourage solar project developers to buy units locally. It aims at covering all the future renewable energy projects bids with at least a 50% of a project’s components with domestic manufacturing. Why is a cap on solar tariffs a problem for developers? The suggestions are a cause of concern for solar developers because the maximum proposed solar tariffs are much lower than what was achieved through the reversed bidding process directed by both state government and SECI. They say that the Discoms will now see ₹2.5 per unit as “an ideal” price which is not in the favor of solar power developers. The developers do not see it as a viable proposal industry considering current macroeconomic conditions, the high dollar, and interest rates. The solar sector is undergoing several challenges such as currency exchanges rates, raising project loans, unclear tax structures, and changing module prices. Hence, the proposal for tariff cap would “kill the market”. The rupee is nearing an all-time low against US dollar. The projects bagged at ₹2.44 last year are suffering as shipments of PV modules ordered for those projects have to be cleared at an effective exchange rate. Fixing the maximum permissible tariffs at ₹2.5/kWh for all future bids limits the possibilities for developing viable solar projects anywhere in India. Also, the problems associated with the availability of land and connected with other states with a comparison to Rajasthan cannot be ignored. Hence, the developers request the MNRE to reconsider the price for future bids and arrive at viable tariffs with analysis on the factors mentions for projects across the country, not just in a single state. The solar industry has gathered a lot of attention in recent times with the proposed safeguard duty. Now, this new rule on tariff limitation is definitely going to raise more heads. India has one of the most aggressive solar targets to be achieved over the next four years and needs to formulate policies and regulations keeping that in mind. The solar developers can lose out their edge in the competitive market and with SECI’s latest chart-out calendar to float tenders may force the hands of the solar developers to make groups stay competitive. The developers are already not so happy with safeguarding duty imposition and now a limit on solar bids will further dissuade them. However, experts suggest that India needs to keep adding on new installations to achieve its target and reduce its carbon footprint. *VGF: Viability Gap Funding is a supporting financial instrument which is provided by central government. Under this, the government gives the 20% to 30% cost of solar power projector gives some limit whichever is lower would be considered for the disbursement of the fund. It is used for those projects which are economically viable but not financially viable. *Bhadla Solar Park: Bhadla Solar Park is one of the largest solar parks in India.